The only thing better than an order of highly dippable, fresh and juicy chicken tenders is, well, highly dippable, fresh and juicy chicken tenders you don't have to pay for. And unless you've managed to secure a benefactor to fund your breaded chicken habit, that sort of bonus doesn't come along very often. But it is happening today, Friday July 27, because Wendy's is handing out free chicken tenders all day long. To celebrate National Chicken Tenders Day on Friday, the square-shaped burger chain known for its social media sass is handing out a free two-piece order of chicken tenders at locations across the country. You don't have to buy anything to get your hands on the sweet tenders, but it may be a good idea to call your local Wendy's ahead of time to make sure they're in on the deal. The only catch is that in order to get the free food, you'll need to tell the cashier a secret password. 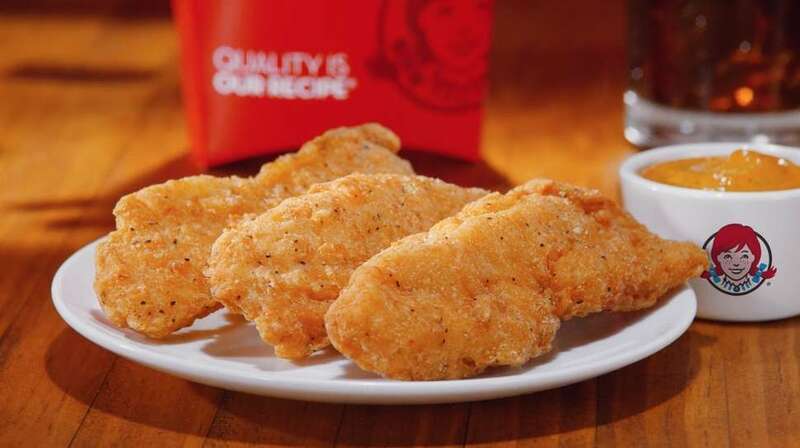 Thankfully, Wendy's made it easy by revealing the password on Twitter Friday morning: "Winner, Winner Chicken Tender." That's right, all you have to do is kindly exclaim "Winner, Winner, Chicken Tender" at the counter, and the chicken tenders are yours. You may have to part with some of your dignity to utter those words in such a public situation, but you'll be rewarded with chicken. Winner indeed. Of course, as with any free food deal, there's some fine print. The deal is limited to one two-piece chicken tenders order per person and only while your Wendy's chicken tenders supply lasts. Also, individual location managers can terminate the deal at any time (fingers crossed they don't), according to Wendy's. Still, odds are in your favor that you'll be able to squeeze in a light lunch or afternoon snack without spending any cash, so plan accordingly. Wendy's unleashed the new chicken tenders last October, hailing them as "higher quality" and "better-tasting" tenders than its previous offerings. Specifically, they're lightly breaded and seasoned with a few simple spices, and they're made with 100% white meat chicken and no artificial flavors. The red-headed fast food chain also introduced a trademarked dipping sauce called "S'Awesome sauce" to complement the new tenders. In case you're wondering, S'Awesome sauce mixes sweet, tangy, and smoky into one insane, savory flavor, though you honestly can't go wrong with dipping your tenders in ketchup. They're free tenders anyway, so you literally can't go wrong.